Camera Phone: Even older flip-phones have cameras — albeit of rather poor quality — while the latest generations of phones have cameras and software that produce pretty good images. So, the question stands: “Is the camera phone all you need?” Well, the answer depends on your needs and expectations. Pros: The old axiom is still true in many respects: The best camera is the one you have with you. An abundance of free and inexpensive aps make it easy and fun to manipulate and share your photographs. And, cloud services simplify backing up and archiving your images directly from your phone. Cons: Difficult or impossible to view the screen in bright sunlit conditions, fixed-focal-length lens (zooming with software only). video quality is not great, file sizes are relatively small compared to all other current cameras. Camera phones are fragile and costly to repair. Point-and-Shoot: These descendants of pocket-sized film cameras are rapidly declining in popularity but still have many strengths when compared to camera phones. Pros: Relatively inexpensive when compared to all other options ranging from $100 to about $600, have optical zoom, some have optical viewfinders which improve bright-light shooting, image quality at least as good as camera phones. At least 3 camera vendors make ruggedized versions that are drop-resistant and waterproof to about 6 feet. P&S’s are a great option for young kids. The cameras at the top end of the price group have DSLR-like features and handling. Cons: Small image sensor limits image quality, repairs are never worth the investment. Shopping advice: The motorized zoom lenses on these little guys are easy to damage; the longer the zoom the more likely you are to break it. For that reason I’m a fan of the smaller cameras where the lens movements are completely within the camera housing. 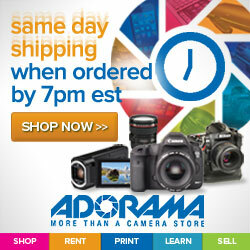 The tradeoff here is reduced zoom range and low-light performance. DSLR: The SLR part of Digital Single Lens Reflex refers to the complex mirror and prism mechanism that lets you view a scene through the shooting lens; then moving all of that stuff out of the way so light can strike the imaging sensor. The ability to swap lenses at will is key. When compared to a point-and-shoot cameras the DSLR kit has faster (better light gathering) lenses in low light conditions, and you can change lenses at will to extend your range and creativity. You’re going to see many references in camera advertising to image sensor type and size; complicating your shopping. As it was in the days of film, the largest sensors give the best image quality. Price and camera size are also relative to sensor size. Starting with the largest sensor, the most common terms you will hear are: Full-frame (FX), APS-C (DX), and Micro Four-thirds (4/3). Fact: the larger the sensor the larger and more expensive the corresponding lenses. 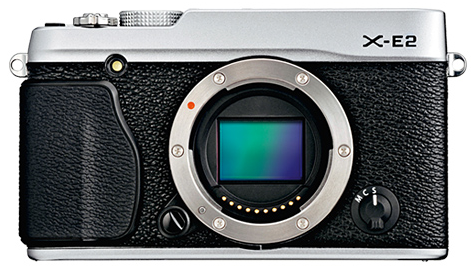 You certainly will hear about “crop factor” from sales reps and in camera advertising. This means: A 50mm lens used on a full-frame camera yields an image with no cropping or magnification. But, as the sensor goes down in size the apparent magnification of the lens increases. Thus, that same 50mm lens when mounted on a Nikon D5200 is functionally a 75mm lens. If you could mount that same Nikon lens on an Olympus 4/3 camera the lens would function as a 100mm. Are you still with me? Cons: Price, size and weight. Pros: DSLRs are still a good choice for amateurs, serious enthusiasts, and professionals who require flexibility, shooting speed, image quality, and a deep catalog of new and used lenses, accessories and after market add-ons. But, many futurists are predicting the end of the DSLR era in favor of this next and most recent camera category. ILC – Interchangeable Lens Compacts: If you could take a compact DSLR and replace the entire optical viewfinder system with an electronic viewfinder like the ones used on video cameras you would have an ILC, or mirrorless camera. They are here, and likely here to stay! This technology is very new with the first such cameras hitting the market barely 5 years ago. Now, Sony, Panasonic, Fuji-film, and Olympus are leading the pack in innovation, while Nikon and Canon struggle to keep up. The best of these diminutive cameras feature large rear screens and crystal-clear electronic eye-level viewfinders. Pros: Lightweight and compact with image quality rivaling that of DSLRs. Cons: Be forewarned that if you invest in an ILC today, 6 months from now you’ll have buyer’s remorse when you see that model’s replacement. Also, fewer lenses and accessories are available, possibly slower focusing, and lesser low light performance than comparable DSLRs. Smaller camera body may not balance as well in your hand as a heavier conventional camera. 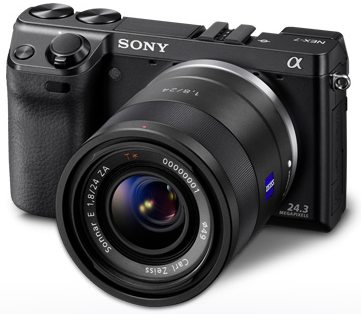 Note: this month Popular Photography magazine gave its Camera of the Year Award to the Sony Alpha 7R, full frame ILC camera. Finally, there’s one final trend worth mentioning here and that’s popularity of thoroughly modern ILCs that look and feel like classic rangefinder film cameras such as Leica’s M series. Maybe there’s a friend or family member on your gift list who would squeal with delight upon tearing off the wrapper on something like a Fujifilm X-E2, pictured here. I don’t know about you, but I sure miss the distinctive metallic clicks of a shutter.